With our domain expertise, we are engaged in manufacturing, supplying and exporting a wide range of Butyl Rubber Sealant. Processed using optimum quality ingredients, these sealants are developed in adherence with international standards and norms. The sealants offered by us are widely used in automobile, telecommunication, electronics, railways, construction, defense, shipping and other industries. These are also tested on various parameters that ensure their longer life and superior quality. 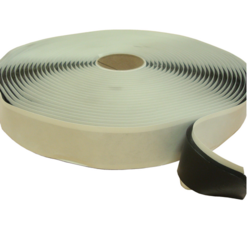 Customers can avail from us a qualitative range of Butyl Rubber Sheet. These sheets are manufactured by our professionals using excellent quality butyl rubber in compliance with the industry laid standards & norms. 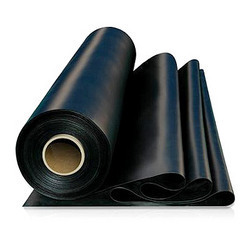 Offered array of butyl rubber sheets is widely used by in commercial and industrial sectors. These sheets are suitable for shock absorption and vibration damping applications Clients can avail these sheets from us in various thickness ranging from 1.2 mm up to 3 mm. Our company is engaged in offering our clients a wide variety of SS Closed Seal. The offered product is fabricated using premium quality raw material and sophisticated technology at the vendors’ end. The offered product is used with steel strapping to ensure proper joint strength and is available in different sizes and dimensions.